If you’ve always dreamed of going to an unspoiled Greek island with a traditional way of life and without mass tourism, Skyros is it. There’s a magic aura to Skyros and it radiates with authenticity, from the old sandal-maker in the main town to the unique stone houses on the way to Chora’s mountaintop. Geographically, this is a very interesting island as it was once two separate islands with two very different landscapes. Today, while it may be one island joined by a windy, sandy strip that’s 4km long, a look at the map will reveal the two different sides: the mountainous, arid and rocky south that reminds one of the Cycladic islands, and the greener, more fertile wooded north that is closer to the Sporadic group of islands. Maybe because of this dichotomy, beautiful and strange phenomena surround Skyros in many ways. This is the island of small sizes where animals such as the Skyrian horse, wildflowers and even people tend to be smaller than their counterparts elsewhere in Greece. The strange phenomenon is even more interesting when considering the smaller satellite island of Diavati, which boasts the opposite phenomenon of gigantism: both wildlife and fauna there have exhibited much larger varieties than similar species elsewhere in the world. Foreign experts have been flocking to these two islands to unravel their secrets, but nature works in strange ways and is keeping quiet about its Skyrian wonders for now. Skyros and its surrounding islands offer a wild variety of fragrant herbs and some very rare flowers, as well as some of the best Greek honey available. 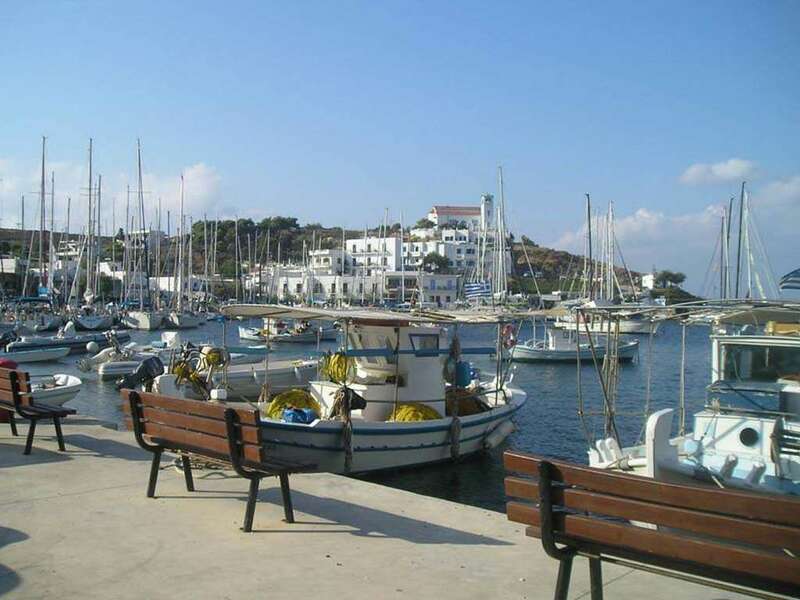 Beyond the magical, visitors will find the people of Skyros very friendly, helpful and hospitable. 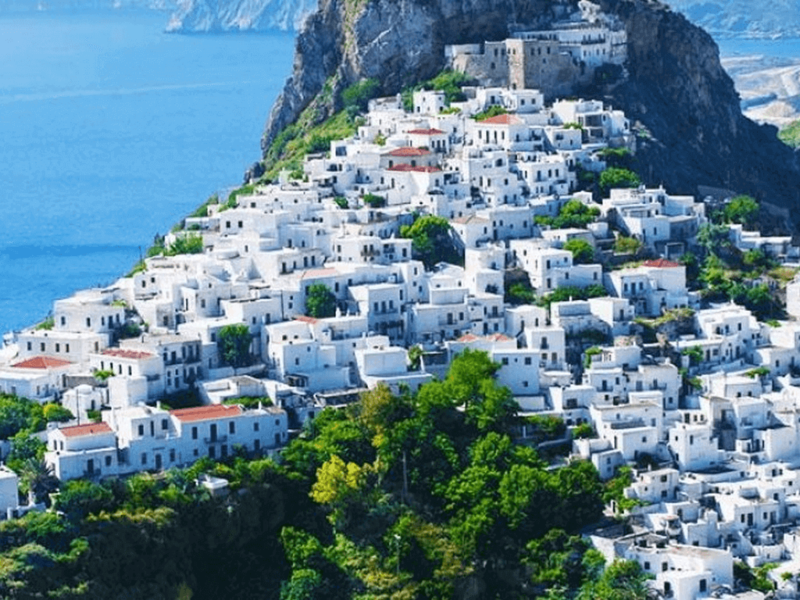 And then there’s the magical main town of Skyros, also known as Chora. Its cobblestone streets are filled with traditional shops, restaurants and modest nightspots that entertain the mostly Greeks from other parts of the country who flock there in summer. Among the white houses you will find some more traditional yet majestic stone-built homes, reflecting the true architecture and style that is unique on the Sporades. There’s also an intriguing culinary side to explore on this island. For those with a healthy appetite, a delicious cuisine awaits visitors, from the famous Lobster Spaghetti of Linaria to the home-cooked food of Chora’s tavernas and seafood specialties of family restaurants. Several beaches have local tavernas offering fresh seafood from the catch of the day, in addition to a succulent variety of dishes such as pumpkin pies, edible fresh greens and shellfish fritters (agalipokeftedes). Speaking of beaches, Skyros boasts some of the cleanest on this side of the Mediterranean. Apart from Magazia and Molos near the main town, there are numerous quiet beaches to be discovered, such as Aspous, Acherounes, Kalamitsa, Pefkos, Agios Fokas, Atsitsa, Kira Panagia, Agios Petros, Agalipa and Girismata. Very interesting and of amazing beauty as well are the seaside caves on the eastern coastline of the island, accessible by boat from different ports. Hiking opportunities to secluded beaches and through the forests are plentiful. There’s also an old castle on top of the hill and a monastery (both currently under repair), and the view from there towards the beach is stunning. A little lower is Brooks Square, honoring a British poet who asked to be buried on the island. Worth visiting off Brooks Square is the rich archaeological museum of Skyros and the nearby Faltaits museum which will both shed light on the island’s amazing past and culture. A description of Skyros wouldn’t be complete without a mention of its famed carnival with Dionysian overtones, disguised figures and outstanding costumes. The carnival will delight with its dances, outdoor theatre and enchanting rituals. Also very interesting are the numerous religious feasts throughout the year, each sponsored by a different small church. After church services of these religious feasts, in true Greek-Orthodox style, expect lots of traditional dancing coupled with special food and drink. Lastly, a small word about the quaint port of Linaria (the main port of Skyros town, 10 km away), in case you decide to come by boat. Apart from the great fish taverns and nearby beaches, the port authorities have worked hard to be environmentally friendly, providing sewage collection and sea pollution control services. There are tanks for collecting used mineral oils, used cooking oil, fuel residues, bilge water and different other recycling services. Bravo Linaria Harbour! In sum, with lovely beaches, sumptuous food, rich celebrations and an authentic non-tourist feel, Skyros has a lot of secrets and hidden treasures for such a small island. It should not be missed! 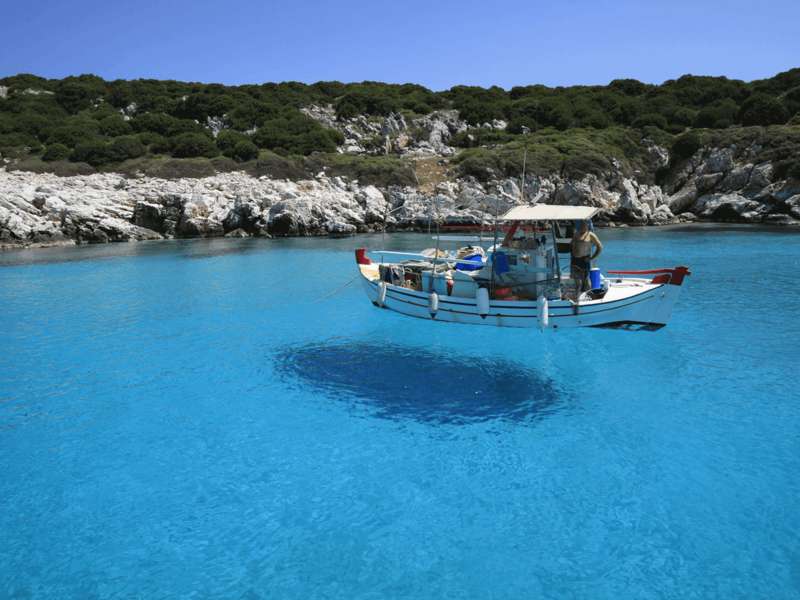 Skyros could certainly be one of the most interesting places for diving in Greece. Lying serenely in the heart of Aegean Sea with many smaller islands around, Skyros boasts numerous spots for diving with unique characteristics. In Atsitsa Bay, on the northern part of the island, divers can explore the ruins from the old iron mines built in the 1900s. In shallow waters you can see part of the bridge and small wagons used to carry iron from mines to the ships. Near Atsitsa there's another bay called Petritsa with east access from the shore and a very interesting reef that you can dive around, starting from shallow water and goes down to 40 metres. Yan can find almost everything here: octopuses and lobsters hiding in the holes of the reef, as well as colorful sea plants and sponges. And if you're an underwater photographer, you'll be amazed at the nudibranchs, these alien-like tiny sea creatures! If you feel more adventurous and want to go deeper, just follow what seems like a vertical wall down and you'll feel like you're flying in the deep blue. In the shallow part of Petritsa bay, there's a meadow of seagrass (Posidonia Oceanica) protected by EU legislation that is very important for ecosystem and provides a habitat for many species of sea life. Amphoras and broken ceramics, probably cargo of an old wreck from ancient times can also be found around the area. 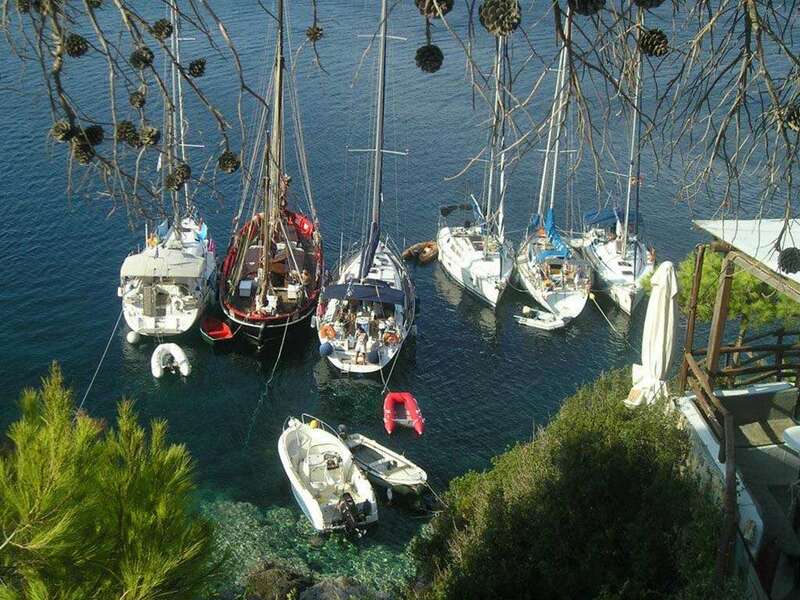 Skyropoula, a private island very close to Skyros, offers many options for great dives. It is located west of Linaria port, and the only way to reach it is by boat. Visibility is most of the times really good, up to 25-30 metres. This is where you'll find many caverns and small underwater caves with generous marine life. At the southeast part of the island, the situation gets really 'wild'. High cliffs ending in the sea create an underwater wall that's more than 40 metres deep. Excellent visibility with more than 30 metres and strong current most of the times. Sea caves big enough to enter with a small boat in this area also offer great spots for diving. Skyros is one of very few places in Greece, where Gorgonians (soft corals) can be found. Tiny polyps form colonies growing slowly and creating very impressive shapes and colors. They usually anchor themselves on the sand or on a reef with strong currents, nourishing themselves by filtering the sea water. It is worth noting that Skyros is one of the most unexplored diving destinations, promising a great Diving adventure for any level of diver. Thanks to the fact that this is not a mass tourism destination in Greece, Skyros offers very good Greek food and has a few surprises that are unique. Being an island, seafood is strong here, especially the lobster spaghetti. 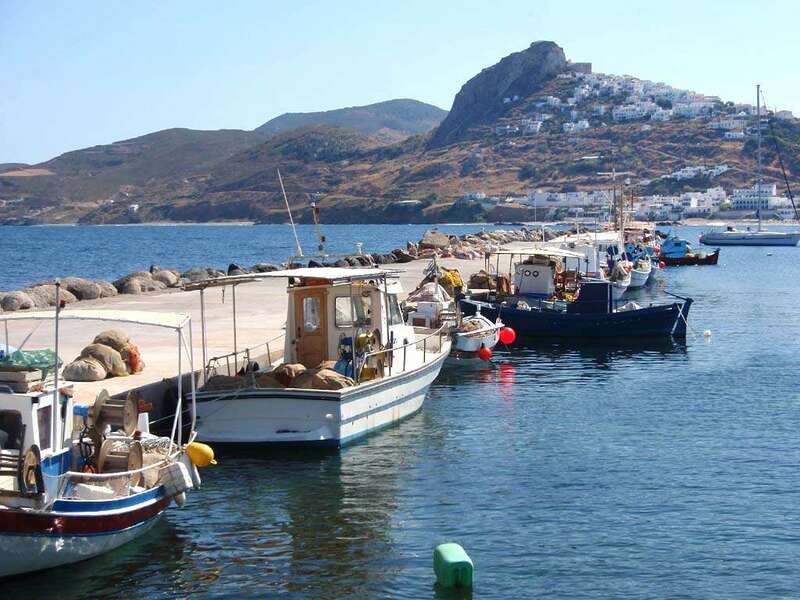 After all, Skyros is known as the "nisi to astakou" or lobster island. Beside spaghetti, there's also another kind of shell-shaped pasta with sauce called Makaronia me to Zoumi. Seafood lovers will adore the Agalipokeftedes, which look like meatballs but are made instead with sea anemones (agalipes). To enjoy a meal made with the day's fresh catch of fish, head out to any taverna on Pefkos, Agios Fokas or Atsitsa beaches. The tavern-owners are often fishermen who know how to cook up a good seafood meal. 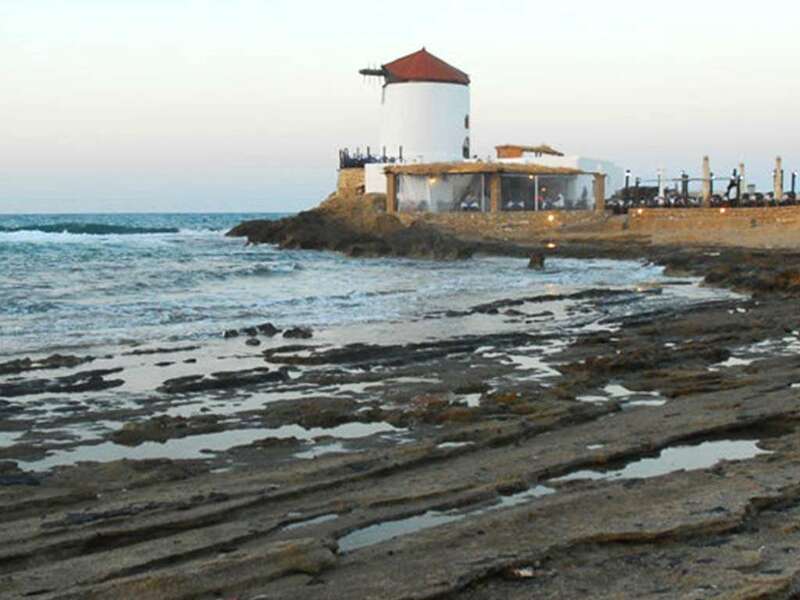 Linaria, the little port settlement, also offers good seafood, lamb dishes and local casserole dishes. If you're lucky and someone is getting married, you will get to sample the Pilafi tou Gamou or Wedding Rice - a delicious combination of boiled baby goat's meat and rice. Weddings also feature Tiganita, sumptuous donut-like fritters topped with honey and cinnamon. The island is also famous for its little goats (kids) that drink seawater and are relatively thin, but offer delicious meat. Also try the vine leaves stuffed with meat, called Dolmades or Yaprakia. Small pies made of dried milk or yogurt called Trahanopites or Teroptaria are actually delicious, and so are the cream cheese and pumpkin pies or Teroptes. Freshly-baked Skyrian olive-oil bread called Ladopita can be served at tavernas, and may be topped with creamy local sour cheese called Skyriani Ksinotiri (usually available until the end of August). 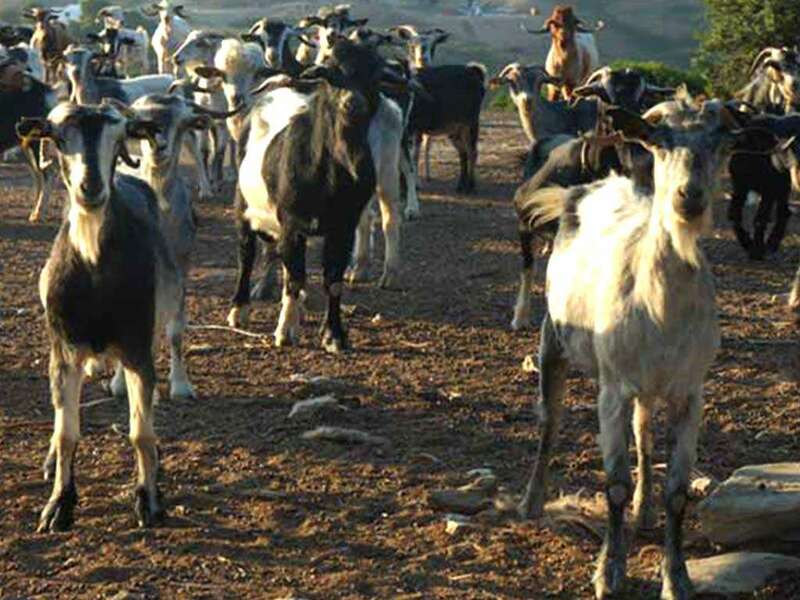 The island produces other delicious cheeses, including its own feta, kasseri and mizithra. There's an interesting vegetarian recipe for Skyros-style aubergines that involves boiling and frying the aubergines then topping them with grated tomatoes, garlic and olive oil, plus a bit of fresh oregano. Also on the vegetarian side is the delicious little yellow split beans called fava (nothing to do with fava beans in the western sense of the word). The fava puree here is delicious, thanks to the sun and soil combination. Aromatic herbs like oregano, mint, fennel, sage and rarer varieties are also found across the Skyrian set of islands, giving dishes a fantastic flavour. On the sweeter side try the fruit preserves or 'spoon sweets' made with quince (kidoni). Three different quince desserts are available, these being Kofto, Beldes and Pastokidono. Ask around to discover what they are and sample their tart sweetness. You may also come across a good rice pudding, or local pancakes topped with honey. Speaking of honey, Skyros is supposed to have some of the best and most tasty thyme honey in all of Greece, so make sure you buy a jar of local honey before you leave. Last but not least, the ice-cream parlour and pastry shop near the main square does wonderful ice cream made with certified fresh Greek milk, as well as local almond sweets (amygdalota) that are simply delicious. Bon appétit, or as we say in Greek, Kali Orexi. Hikers will rejoice at this virgin land, although some areas might require an experienced guide. The south side of Skyros or Vouno is almost a rocky desert with reddish overtones and amazing views of the water. Lucky hikers can see all the way to Evia and even Lesvos. While this is a relatively small island, the art of ceramics hasn't died out yet and there are many small shops that will sell you traditionally made ceramic items on the island. There are a couple of ceramic workshops too that visitors could participate in. In fact, this is the perfect environment to come and learn about island ceramics, unique designs and ideas that feed the spirit. 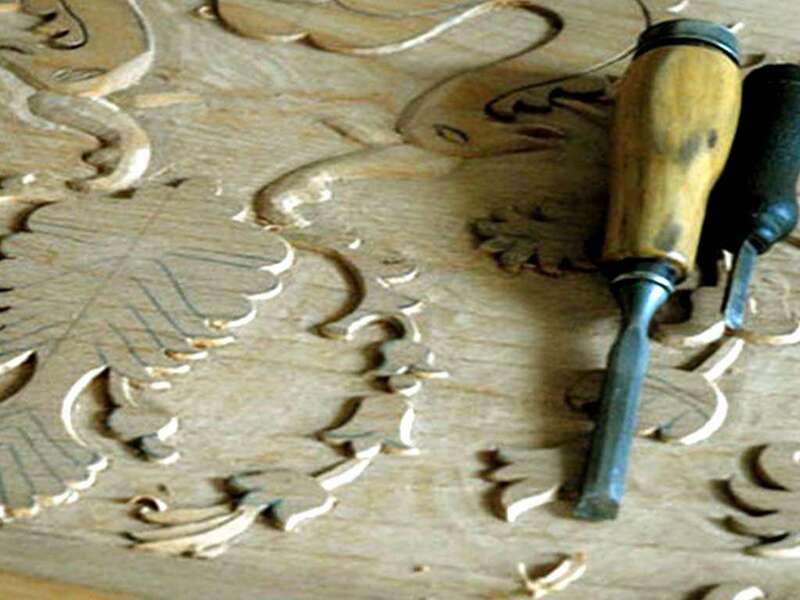 Weaving and embroidery are an old tradition in Skyros, as is woodworking. If you look into any traditional home you will find evidence of unique embroidery on cushions and textiles. The villagers are proud of these patterns, and you may see some of these selling in the town's shops. Visitors would do well to encourage this disappearing art. The island of Skyros is known for its dry southern part vs. its lush northern part. Still, the south features hollies, briers, wild olive-trees, maples and holms, while the pine-clad north grows grain, vines, fig trees and vegetables as well. There are also forests of cedars, bearberry, myrtles, osiers and lentisks. Beyond the main island to the north, Skyros is an archipelago that boasts more than 20 small islets. A complex of little islets called Podies has around eight black pebble beaches that are unique. The isle of Skyropoula to the west of Skyros is covered by cedar trees, so is the smaller one called Rhenia. Diavati is the small island that boasts the phenomenon of gigantism. The unique extra-large lizard Padarcis gaegae exists there, so do many large-growing herbs and greens such as capers, mallow (Molocha), bitter radish, leek and rock fennel (Kritamo). Skyros is best known for its lovable dwarf-size horses that are unique in their stature. 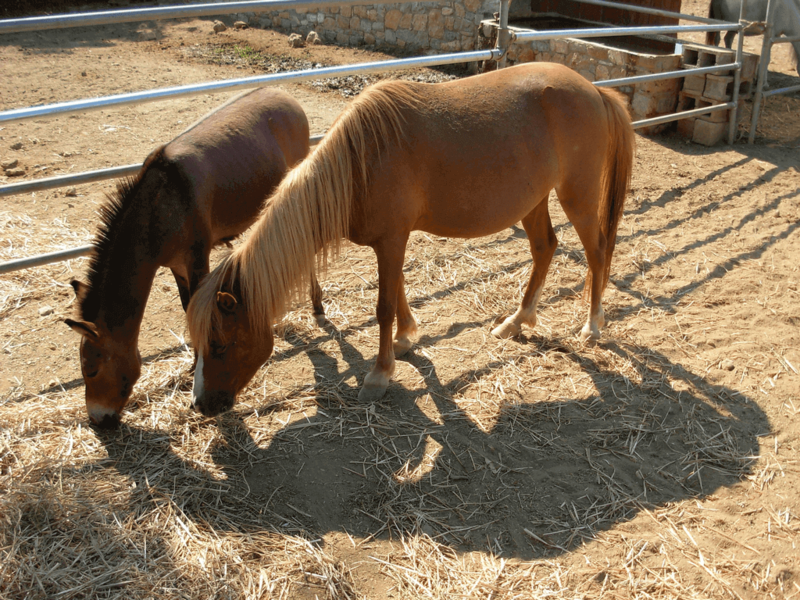 Their height ranging from 90-110 cm, these cute horses might look like ponies, but are unrelated. The Skyrian horse has a fatter head, bigger nostrils and larger eyes, with a strong neck and breastbone. It has thighs like a cow and a low tail like the donkey, but the bone structure remains very similar to the big horse. Before the era of machines, the horses were used threshing wheat before harvesting it. They were only used for about 50 days then left in the wild again to roam and eat freely.The origins of the Skyrian horse is mysterious, particularly since there isn't any mention of them in ancient scripts. Were they bought by the Romans from Asia and evolved differently? Where they cousins to a similar animal called hipparion from the Attica district? The diet and climate on Skyros may have something to do with their persistent shape, even after some tried to cross-breed it with other species. The Skyrian Horse Society has gone to great lengths to preserving Skyrian horses and caring for them. A noble effort indeed! 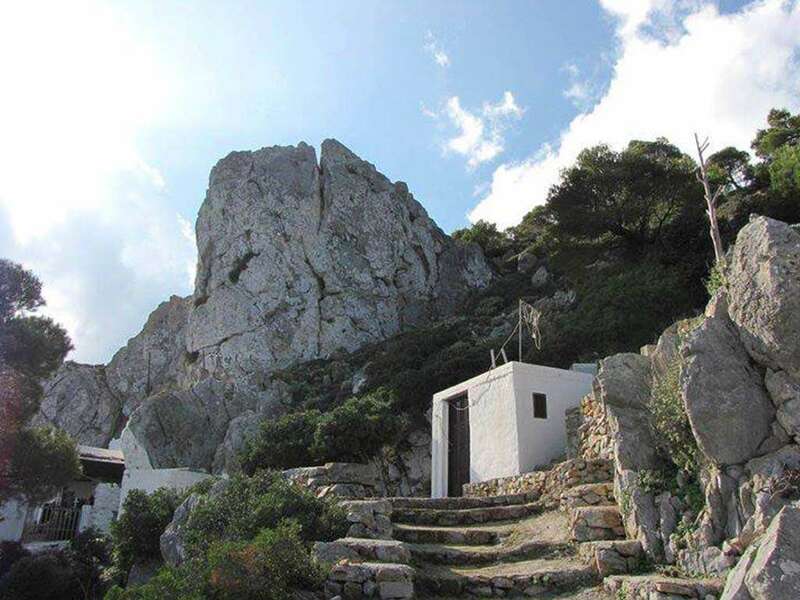 On another note, Skyros is on the migratory route of numerous birds and the island's authorities have been setting up watch towers for avid bird lovers (check out the section on birdwatching for more information). Also of natural interest, scientists discovered a huge lizard on the nearby island of Diavati, which is called Padarcis gaegae. There may giant species of other life there! While Skyros doesn't seem to have any vineyards per say, the country supermarket on the main square makes and bottles its own wine. This isn't an island for wine tours, but if you're there drop by the place and investigate this interesting story, then buy a bottle or two of inexpensive wine to enjoy.